Chase Bank complaints number & email. 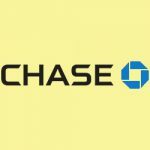 Get verified information about Chase Bank complaints email & Phone number. To complain to Chase Bank, contact their complaints line on 800-935-9935. They can also be contacted by mail and online contact form if required. Chase Bank also provide details of independent bodies to contact if you are unable to resolve your complaint direct with the company. Call the Chase Bank complaints line on 800-935-9935. If you need to take matters further, the ‘Contact Us’ section of the website presents several clearly laid out options along with a description of the complaints procedure. You can choose between postal or online written contact, phoning via 800-935-9935 or visiting your local branch. Chase Bank, is a national bank that constitutes the consumer and commercial banking subsidiary of the U.S. multinational banking and financial services holding company, JPMorgan Chase & Co.
Chase Manhattan Bank was formed by the merger of the Chase National Bank and The Manhattan Company in 1955. The bank acquired the deposits and most assets of The Washington Mutual. Hopefully, We helped you to get some genuine records for Chase Bank Complaint information. Use below complaint form to discuss problems you have had with Chase Bank, or how they have handled your complaints. Initial complaints should be directed to Chase Bank directly. You can find complaint contact details for Chase Bank above.